Generally Muslims and Muslim countries are pretty backward in modern education, especially Science & Technology compared to the rest of the world? It’s not even about race or ethnicity, almost all Muslim countries lack in Science & Technology as compared to the West and other countries. Most of the inventions in Science and Technology are either by Christians or Jews. The mind boggling question here is that why are 1.7 billion Muslims lacking in this department? The abrupt answer is that most of Muslim countries do not have modern and well-equipped research centers nor do they attach any priority to that. Probably in this background, Uzbekistan, under the visionary leadership of President Shavkat Mirziyoyev, incurred upon itself the onus of establishing a modern and fully equipped research center with the name of “Imam-Al-Bukhari International Research Centre (IBIRC)” in the historically and ancient city of Samarkand. The aim is to provide the research scholars and intellectuals from every corner of the world a unique platform where they could come and do research on Islam in right way with right intentions and right perspectives. This research centre is headquartered at the Imam Al-Bukhari Academy in Samarkand and affiliated to the OIC. It spans over acres of land. Also situated in the juxtaposition of Imam Al Bukhari tomb, the research center too is frequented by hundreds of people, who visit the place and are briefed about the importance of the Center and various research facilities provided in the Center. 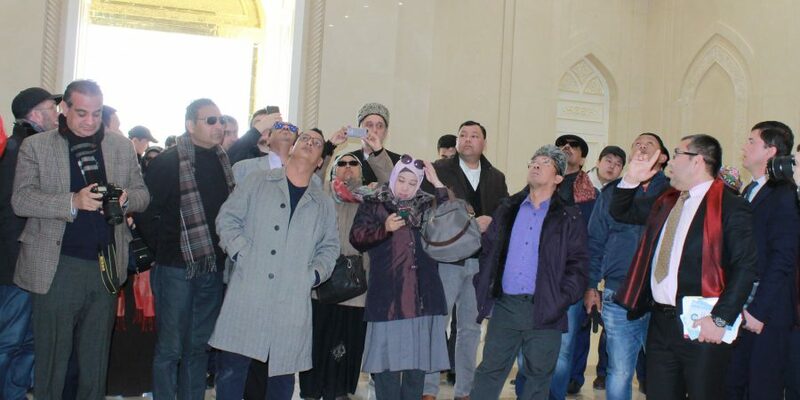 Since Uzbekistan has started to reach out to the outer world, especially in the field of Ziyarah tourism, one is pleasantly surprised to know that the country has contributed a lot to enrich human history, through its scholars such as Imam Al-Bukhari, Imam At-Termizi, Mahmud Az-Zamakhshari, Muhammad Al-Khawarazmi, Burhaniddin Marginani, Abu Raihan Beruni, Abu Ali ibn Sina and others. As rightly remarked by the Uzbek President, Imam Bukhari is acclaimed all over the world as the compilator of “ Sahih Al Bukhari” the second most important source in Islam after Quran”. 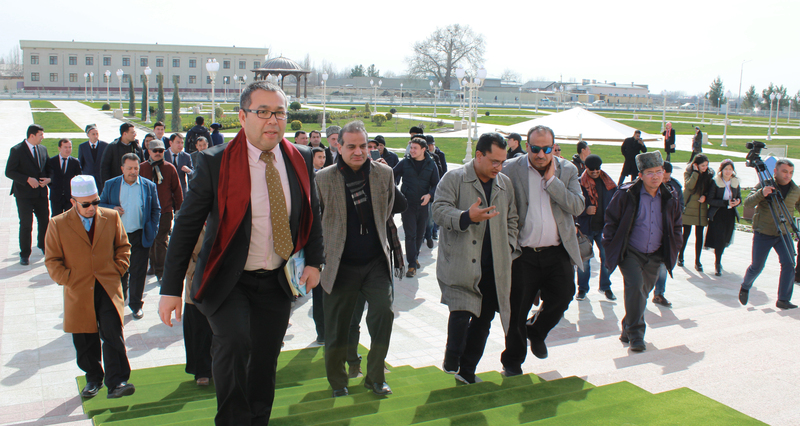 The idea of the research center first came under discussion in 2016 when as an interim President of Uzbekistan Shavkat Mirziyoyev took up this plan with the OIC leadership, who not only supported the initiative but promised to extend full support in order to make this project a complete success. The spirit ostensibly behind this initiative was to provide the Muslim world with a modern research center with a view to enabling the scientists and scholars to enrich their knowledge not only to match the modern day challenges but to raise the status of scientists in the Muslim world. There were times when Muslim scholars laid the foundation of various sciences in the world but unfortunately this process seems to have halted. For sure, the Imam-al Bukhari Research Center shall play its key role in disseminating scientific and technological know-how among the Muslims across the globe thus empowering them to match the existing and impending challenges effectively. 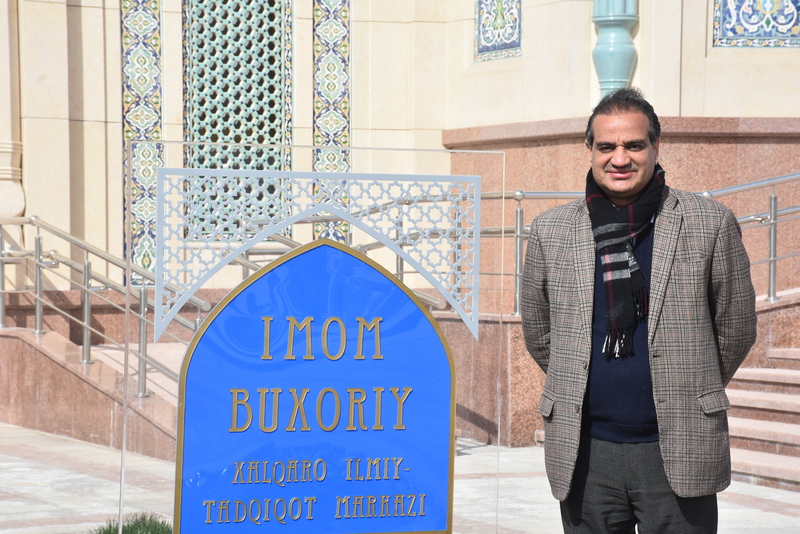 I had a chance to visit this wonderful place on February 23, 2019 and was taken aback to see a unique epicenter of knowledge and research in the shape of Imam al Bukhari Research Center. 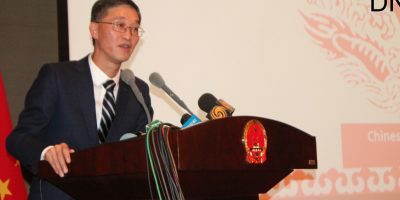 We were told that the Center was formally opened in January 2019 and was equipped with all latest scientific and technical facilities that are required for in-depth research and enrichment of knowledge. The hosts showed the visitors various facilities offered at the Center with essential briefing about Imam Al Bukhari and his contribution towards making Islam well-understood not only in the Muslim world but in the Western world also. The Center comprised many rooms and research areas where scholars gather and carry out their research related activities. Dedicate translation centers have also been set up in order for translation of various works in different languages. Additionally, proper teaching facilities are also made available along with learned and experienced faculty to impart scientific knowledge to the students. Being Muslims, it was undoubtedly a matter of pride for us that we had such a unique and state-of-the art research center at the disposal of the Muslims where they can go and quench their thirst of scientific and research knowledge. And above all, the building of the Center in itself was an excellent piece of art and architecture. Pakistan, along with other countries, has signed a MoU for cooperation with the Imam Al Bukhari Research Center. Pakistan being one of the largest Muslim countries of the world should also focus on research related projects. Partnering with Imam Al Bukhari center indeed is a welcome step however this mutual cooperation needs to be intensified and expanded. 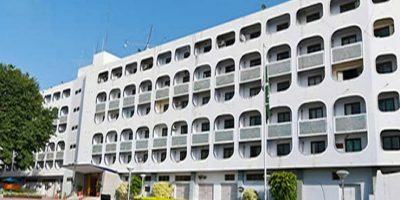 Pakistan can work closely with the IBIRC in order to have a similar facility in Pakistan also. 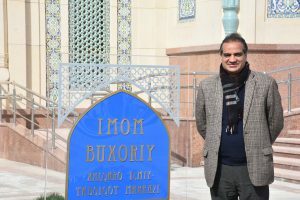 It is quite unfortunate that not even a single institution in Muslim countries had been conferred with the Nobel Prize so far, therefore one should hope that Imam Bukhari Center would not only scale this milestone but also play its due role in overcoming the research and scientific deficit the Muslim world is facing today. 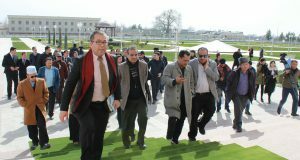 The article is based on his recent visit to Uzbekistan.